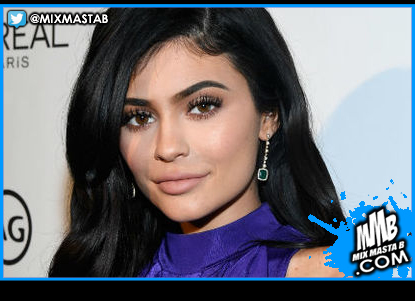 Kylie Jenner shocked fans when she revealed that she removed her infamous lip fillers from her face for good and it seems like motherhood is to credit for the transformation. According to an insider close to the new Forbes cover star, the 20-year-old reality titan has been "more conscious" of herself nowadays since she's a new mom to five-month-old Stormi. "During Kylie's pregnancy, she wasn't getting her usual fillers or putting on much makeup," a source told Entertainment Tonight. "Kylie really fell in love with the natural look, and wanted more of that, so she decided to stop putting filler in her lips." "Despite the fact that Kylie is a master of branding and has made an almost billion-dollar business off her lips and cosmetics, once Stormi was born, Kylie realized she was a mother first, and that is a big reason she has been sporting the more natural look," the source continued. "Kylie is a master of branding, and she plays with the concept of mother -- the more natural look -- and her Kylie Cosmetics look, full glam." Jenner's lips have been the talk of the town for years since the star first confessed to getting fillers in a 2015 episode of Keeping Up With the Kardashians. "I have temporary lip fillers," she said during the E! reality show. "It's just an insecurity of mine. It's what I wanted to do."